Ronald Reagan’s aggressive foreign policies in the early 1980s, along with the Strategic Defense Initiative program, continuously placed intense pressure on the Soviet Union, and led some Soviet leaders to believe that the US was preparing for a nuclear strike. "Here’s my strategy on the Cold War: We win; they lose." ​​"I believe we shall rise to the challenge. I believe that communism is another sad, bizarre chapter in human history whose last pages even now are being written." 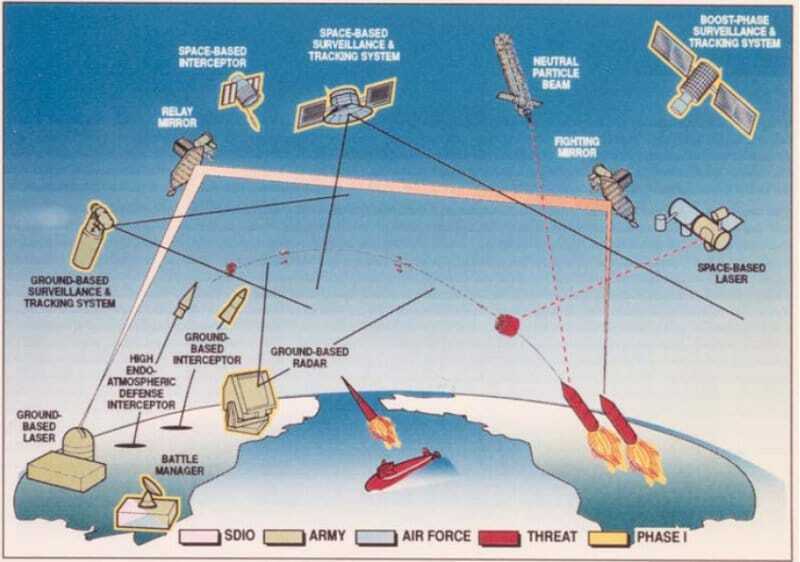 ​On March 23, 1983, Reagan announced his plans for a defense system called the Strategic Defense Initiative (SDI) which would protect the US from the Soviet Union's ICBMs. This was alarming for the Soviet Union —— this new defense system would infringe on the delicate balance of Mutually Assured Destruction since the United States would no longer fear a retaliatory strike. "What if free people could live secure in the knowledge that their security did not rest upon the threat of instant U.S. retaliation to deter a Soviet attack, that we could intercept and destroy strategic ballistic missiles before they reached our own soil or that of our allies?" ​"It would seem that awareness of this danger should be precisely the common denominator with which statesmen of both countries would exercise restraint and seek mutual understanding to strengthen confidence, to avoid the irreparable. However, I must say that I do not see it on the part of the current administration and they may be moving toward the dangerous 'red line'." ​Andropov’s reaction towards Reagan’s new policy reflected the anxiety of the Soviet elite.